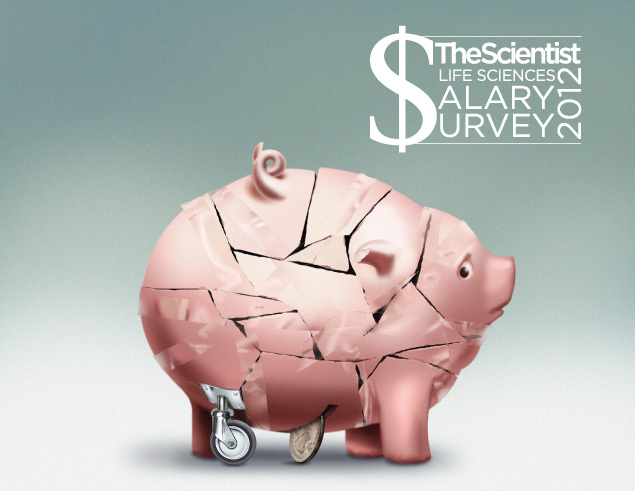 Salaries hinted at a recovery last year after a noticeable dip in 2010—the first-ever drop in The Scientist’s 10-year history of surveying the life science community. But this year, salaries remained relatively flat overall compared with 2011, and even regressed in some areas. In contrast to the steady growth observed in The Scientist’s Salary Survey since 2001, the past few years stand out as a distinct plateau, with 2012 median total earnings (salaries plus fees, bonuses, and profit sharing) of $87,000 falling just below the $90,000 our readers reported in 2009. However, the overall flatness in the 2012 median earnings disguises big changes across sectors and regions of the country. This year’s high-scoring disciplines included bioengineering, biophysics, and food/nutrition science. Earnings in traditional research specialties, on the other hand, took a significant hit: median total compensation for researchers in endocrinology dropped by more than $30,000 from 2011, systems biologists’ take-home pay dipped by $38,500, and those in cancer/oncology took home some $15,000 less than median earnings last year. 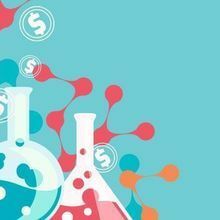 As life science industries try to figure out the best ways to weather the continued economic storm and to grow despite increased competition for investment, the higher salaries associated with industry will continue to come with a greater risk of layoffs. Indeed, companies have reduced their number of full-time employees in favor of temporary workers. Although this may mean fewer permanent jobs, the compensation for consultants this year increased by more than $50,000 over 2011, as companies compete for the best freelancers. While overall salaries were down this year, a number of fields saw noticeable increases in compensation, including bioengineering (up more than $30,000 compared to last year), biophysics (up by $29,000), and food/nutrition science (up by nearly $20,000). But as usual, the biggest salary differences aren’t seen across fields, but across sectors: there is a marked difference between specialists working in academic, government, or nonprofit (nonacademic) institutions, on the one hand, and those in industry on the other. The pattern of higher salaries in industry is part of a historical trend, says Mark Lanfear, a strategic advisor at Kelly Scientific Resources, where the risk and instability of industry work are balanced by the possibility of higher salaries and bonuses. 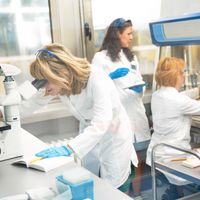 In contrast to the discrepancies between the different sectors of life science research, there is a remarkable consistency between specialties in the relative earnings at each level within academia. 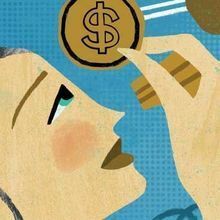 Across the board, salaries go up as researchers move up the ladder from assistant professor to associate professor to full professor, at which point compensation of all specialties tops $100,000 per year. “Anything over the $100,000 range . . . is in the top percentage of earners in the country,” Lanfear says. Academic degrees are increasingly expensive, but for those—admittedly few—who make it to full professor, that investment may pay off. The majority of states experienced at least some downturn in salaries this year, but many states that traditionally have a greater reliance on science and technology sectors, such as New York, Maryland, and California, managed to grow. While New Yorkers suffered with everyone else in 2010, the state has experienced some of the best growth in recent years, with median total compensation rising from $90,000 last year to a whopping $101,500 this year. Lanfear says this is likely due to decisions made by pharmaceutical and health sciences companies that dominate the region. “A lot of the large pharmaceutical companies have scaled back,” Lanfear says, but in so doing, they have “retained the talent that they needed, and allowed their talent to have the salary growth that was necessary to keep them in place.” While California also relies heavily on scientific industry, and did experience an uptick in earnings this year, it has not recovered as well as New York, showing less than a $2,200 gain over 2011. “There may be a possibility that the employment rules or the culture of the West Coast did not assist them in holding on to the same things,” Lanfear says. California’s volatile housing market likely also played a role, he adds. The gender gap is still apparent in the 2012 survey, with females earning less than males at all levels of supervisory responsibility, from staff to professional management; the percentage difference in earnings is remarkably consistent across positions. “It should drive us to do further research to understand if there are any gaps in experience level, education, years in the industry, or if there’s some other ambient factor that we aren’t acknowledging that could be affecting these salaries,” Lanfear says. See more of the data broken down graphically in this slide show. 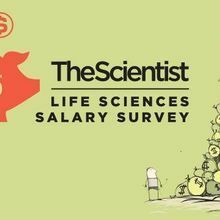 The Scientist 2012 Survey of Compensation of Life Scientists in the U.S.
Data were collected via a Web-based survey which was open from March 26 to July 17, 2012. Participation in the survey was promoted by e-mail and advertising to readers of The Scientist and visitors to The Scientist website. 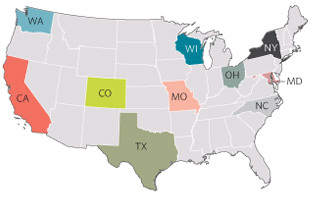 Usable responses were received from 4,753 individuals in the United States. Since many individuals are subscribers to The Scientist, it is not possible to compute an accurate rate of response. Respondents were asked to provide demographic data about themselves in 18 categories, and to report their base annual salary and other cash compensation. The responses were carefully filtered to eliminate duplicate or misleading answers. Not every participant provided all of the information requested. If the participant provided income data plus information concerning at least one demographic characteristic, the response was included in the study. The survey was conducted and the analysis carried out by The Scientist.